Reading Girl Geek Dinners – Definitely Does Compute! One of my resolutions for 2017 is to be more Eco-conscious. I’m not necessarily making an entire green overhaul, but I am trying to think about how the things I use affect the environment. In the first few weeks, I’ve realized that one of the biggest places I can make an impact is actually at work. Being the nerd that I am, I’ve fantasized about heading a campaign to make my entire office more environmentally friendly. I’m not an office or HR manager, so all I can do is advocate for a greener office, and you can do the same. Need some help convincing the powers that be? There are actually some great reasons to adopt sustainable business practices. Not only does it save money and cut down on office waste; it also shows that your company is socially responsible, which is something that more and more consumers are looking at as of late. For many offices, going completely paperless is not quite attainable, even today. However, aiming to be as paperless as possible is definitely a goal that is within reach. Read as much as you can on-screen, and keep notes in a digital format as opposed to a notebook. Only print those documents in which you need a signature, and use as small a font as possible while still making it comfortable to read. When printing or making copies, print on both sides, and make sure every piece of office equipment is set to an environmentally friendly (and cost-saving) default setting. Whatever paper products you do buy should be made from recycled materials and recycle the documents you do use, unless it’s important for them to be shredded, in which case they will likely be recycled once they are destroyed. If you want to be a real geek about it, be a stickler for accuracy and double-check to make sure all the paper you order is the right size and type. When it comes to other office supplies, there are plenty of ways to go green as well. You can opt for refillable pens, pencils made from recycled newspaper, erasers made from recycled rubber, these days there are even chairs and cabinets made from recycled plastic. There are also options for the rest of the workplace, like using hand dryers instead of paper towels, and buying cleaning supplies that are nontoxic and eco-friendly. Another great way to help the earth out is to keep tabs on office supplies to discourage wastefulness. Sure, every workplace needs light, heat, and electricity. But there are more ways to cut down on office energy consumption than you can shake a stick at. From using smart strips and programmable thermostats to banning screensavers, the list goes on and on. Even switching to CFL or LED light bulbs can save vast amounts of electricity and money. You’ll want to encourage employees to turn their computers (and the lights) off every night before they go home, and also ask that everyone unplugs chargers when not in use. This is just the tip of the iceberg when it comes to office energy conservation. Water truly is everywhere we look, but that doesn’t mean we should take advantage of it. One of the biggest things businesses overlook when going green is water. Using motion controlled faucets isn’t just for fancy establishments, it conserves water as well. On top of that, many businesses offer water bottles to office employees, but this is an extremely wasteful practice, especially since they’re often not recycled, and are even less often made from recycled materials originally. Encourage employees to bring reusable water bottles to work to make every day earth day. If you work for a medium to large sized company, starting a carpooling program is a great way to help the environment, improve company culture, and save employees money. If you work in an industry where working from home is feasible, you’d be happy to learn that it cuts down on driving, which cuts down on harmful exhaust fumes in the air. It also consumes less energy than maintaining a large office, as employees are only consuming slightly more of the energy they’d be using to heat, cool, and light their homes whether or not they’re there. There’s currently a lot of discourse about the reliability of telecommuting, but it’s actually easier than you’d think to implement an effective remote office policy. This isn’t just lazy me who doesn’t want to spend an hour getting ready every morning talking here. Implementing a business casual dress code is actually a great way to help the environment. No, it’s not too good to be true. Not having to wear suits cuts down on energy costs, especially in hot summer months. It also cuts down on dry cleaning, which is not necessarily the best thing for the environment. I hope these tips were helpful, and remember: eco friendliness isn’t just for big companies and large office buildings. Small businesses can also go green by taking small steps that have a huge impact. Whoever you are and wherever you work, 2017 can be they greenest year of all. AJ is a personal chef, caterer, freelance writer, travel junkie, and root beer float aficionado from The Pacific Northwest, USA. 2017 has just begun; hopefully, you celebrated the end of 2016 with a bang. If you happened to be one of the many who hosted a party, then you definitely did. Nothing creates chaos like hosting a party. Throngs of people in and out the door, the constant demand to entertain and feed your guests, as well as all the havoc that alcohol provides… Well, you see why some never attempt to host their own party. They leave that to the pros. And, while planning my own New Year’s Eve party, I finally realized exactly where I went wrong. Yes, party planning is stressful, but that’s only because of the unexpected. How do you account for no-shows? What will you do with all the extra food? What if there’s not enough booze? These are frightening scenarios, but don’t worry: there are simple solutions to guide you. In fact, there are simple equations. Solving for them helped me plan my New Year’s Eve party with minimal stress, and I’ll certainly be applying these equations to every party from here on out. How Many People Will Actually Show Up? We’re all increasingly busy. We’re booked weeks in advance, and sometimes, no matter how much you care for the person, you can’t make it to your friend’s event. Realize that your friends aren’t intending to hurt you by just “swinging by” or by foregoing your party altogether. They were probably just invited to several events, and there’s only so much time in the day! However, that leaves you in an awkward position: you don’t want to set up for more guests that will attend, but you can’t risk not having enough either. First, gauge your guest lists’ interest level. If they don’t drink, and you’re already concocting your special margarita mix, count them out. If they have a baby, they probably won’t be there at midnight. Are they very popular? Expect them to dip in and out. All these maybes and in and outs count for half a person. Next, realize that despite your best promotion, some people would just rather sit in their PJs, eat take out, and watch Friends reruns every weekend. You might not understand how someone could be such a social recluse but to each their own. So, go ahead and do yourself a favour and just count out 30% now. Too late, and you won’t have time to get the ball rolling before everyone has to leave. Too early, and the party burns out before midnight, which is an acceptable cut off point for most parties. While some might want it to last longer, no one will be affronted if you kick everyone out at midnight. People understand that it is technically the start of the next day, and you probably have plans for tomorrow. First, realize that most people will show up late, so don’t plan for the party to really get started until about an hour after your official “start time”. Given this, 7:00 is a bit too early, and 9:00 is a bit too late. Settle on 8 pm as an official start time, as this will give everyone enough breathing room to arrive when they wish and party as hard as they want to. So, that’s four hours until midnight, but really only 3 hours with everyone present. If this isn’t enough time for you, or you think your friends might bail before then, tailor the party specifically for friends who you want to stay longer. You might have a friend that loves unicorns, or Harry Potter, or whiskey. Include those things into the theme of the party. People will also stay longer if they’re comfortable, so make sure that you remove any bad smells and tidy up before having anyone over. 3. How Much Booze Do You Need? If you want to be able to tolerate hosting a party, on the other hand, booze is required. But how much? We all have that friend that can only down two drinks before they’re on the bathroom floor and you’re rubbing their back, but we also know one person who needs a bottle to get a buzz. This can be a little tricky, but luckily there is an event planning standard to help you out. Make sure you realize how much a serving is. While this is obvious with a bottle of beer, take note of what a serving of wine is five ounces and a shot of liquor is 1.5 ounces. This will help you plan out how much booze you need to buy, which, honestly, can be the breaking point of any get-together. Now, following these equations doesn’t necessarily mean that you’ll have a stress-free planning experience. But it definitely helps. Considering that you’re attempting something that others do professionally, don’t be too hard on yourself. Give yourself plenty of time, and then it’s just an issue of plugging in the numbers. Reading Girl Geek Dinners needs volunteers to help us to keep the group going in 2016. We have big plans but little time to execute them and therefore we need some interested Girl Geeks to become a part of a team and work with us to deliver great events in 2016 and beyond. You can give a lot or a little of your time. Anything you can do to help us is a brilliant contribution to the Reading Girl Geek Dinners chapter. You will help to grow our community and allow us to continue encouraging women into STEM roles. Your contribution will also help to support women who are currently working in STEM roles and aim to keep them growing in these roles. We will meet once every few weeks either over coffee, a meal, a drink or Skype if time is tight so we can discuss our events, activities and share tasks. We can always stay in touch over the phone, email or face to face in between those times. It’s about being flexible and enjoying the tasks that we fulfill. It’s also about making new friends and contacts too. To be a Reading Girl Geek Dinner team member, you don’t have to work in a STEM career. You simply need to have an interest in meeting other interesting people and having a fun time learning new things and a desire to build a community. Contact us at readingggd@googlemail.com for more details. We look forward to getting Girl Geeky with you. Here are 4 gadgets that every tech lover needs to have in their home. For the coffee loving geek who believes that a great cup of java requires as much science and engineering as computer programming does, you’ll find yourself in good company with Blossom Coffee. 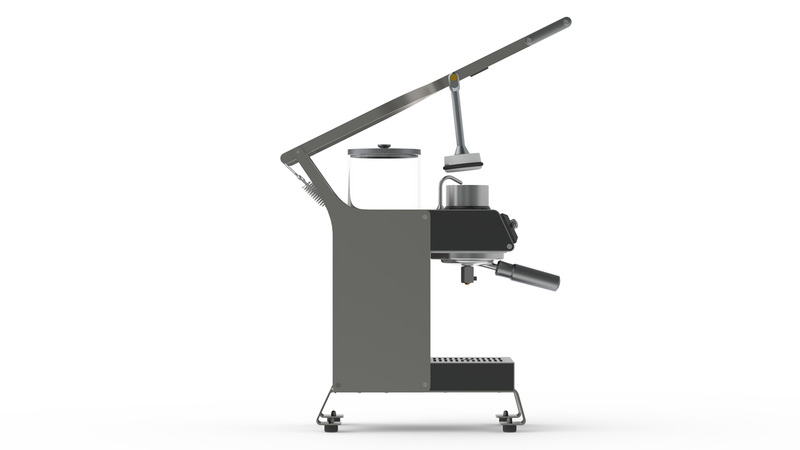 In an effort to uncover the “core science” behind what makes coffee really great they created the Blossom Brewer, a coffee making machine that executes the process flawlessly each and every time. With temperature regulating technology and precise user interaction software that claims to be even better than a smartphone, both you and your Blossom Coffee Brewer will be the perfect geeky pair. The BEDDI Alarm Clock is sort of like having your Mom and a hotel concierge service wake you up each morning. From the moment your alarm gently goes off, a mood lighting setting begins to slowly rouse you from a deep sleep. BEDDI’s next task is to dutifully alert you of both traffic and weather conditions to let you know exactly how much time you have until you need to leave for work and what to wear before you head out the door. But wait, it gets even geekier: wake up to your favorite Spotify playlists and get a pot of coffee brewing before you even leave your bed so that you start your day feeling well rested and refreshed. 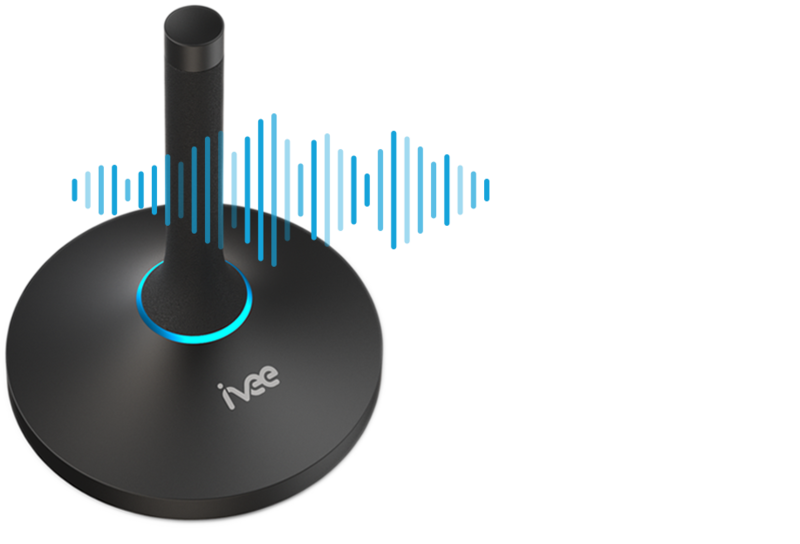 For the ultimate in geeky futuristic lifestyle gadgets, there’s Ivee Voice. Ivee can sync to all your wireless smart devices and act as a main hub to connect and control your house, phones, electricity, and even order you a pizza! Perhaps one of the most intriguing (or creepy—you decide) aspects of Ivee is the way you can speak to her as if you were talking to a fellow geeky friend. Since the device is meant to be voice-control only, it instinctively picks up and memorizes the unique sound of your voice to anticipate your wants and needs. Besides getting to know you and all your little quirks, Ivee can even play music or read you an e-book! What better way to tend to your nest than with an energy efficient home gadget like Nest Thermostat? At Modernize we’re passionate about creating a space that makes you and the world a better place through eco-friendly design and that warm and fuzzy feeling of knowing your home is exactly the way you like it—and Nest’s smart technology does just that. As you set the daily temperature for your home, Nest will memorize the times and temperatures throughout the day and night and intuitively change it for you. It can even be synced up with Ivee Voice! These days it seems like you can’t go a day without hearing that one company or another has had a data breach. While company problems are not necessarily the same as those on your home computer, they highlight an increased need for security. But where does security start? There are a few programs that will help keep your data safe on your computer, but before you go downloading a bunch of things, there are some behavioral changes that can make a huge difference in the security of your computer and information. Good habits are essential to maintaining a safe environment inside of technology. In a world of popup blockers and anti-virus software, it might see pretty safe to cruise around the net looking at just about anything. But that hasn’t stopped the bad guys from disguising otherwise safe looking text or pictures as links to some seriously dangerous malware. Before you go following that next link, take a few steps to make sure it’s okay. First, try to use reputable websites. If you’re on the third or fourth page of Google search results, you may want to be much more careful about where you navigate. But there’s an easy trick for that: simply read the actual URL address on the bottom of your browser. Whatever the picture or text says, the actual address will always show when you hold your mouse over the link. You may have followed a link to somewhere unfamiliar by accident, but that doesn’t mean you’re in trouble—yet. In many cases, malware will actually ask if you want to save it to your computer (it won’t be named “virus.exe.”) If you did click an email or website link, and it asks to save, be sure you were really looking to save a file. If you are planning to save it, don’t select the “Open” option unless you’re absolutely certain about that file. Supposing grandma sends you an email and that email reads “check on these pics” with a link, you may not want to go ahead and open whatever tries to save from that; doesn’t exactly sound like something grandma would be saying (unless your grandma is super hip or something). Yes, yes, your computer probably came with one, but is that one really any good? Perhaps you have a pre-installed version of McAfee or Norton—on a 30 day trial. The moment that trial ends, you’re held essentially at gunpoint to buy their software or face the doom of not having protection on your machine. Well, most good anti-virus software is free for regular users. That means no entering CD keys, no registering for 1-year subscriptions on recurring payments, and no paying. Some good examples are Panda Free Antivirus, AVG, and Avast!. So, armed with one of these programs, you can actively scan any files you’ve downloaded to make sure that they’re safe. Most will do it automatically though. Who’s there—right? Well, if you aren’t using the internet with a VPN, then chances are anyone and everyone knows whenever you stop in. While that might not seem like a problem, websites aren’t the only ones monitoring traffic: your ISP, hackers, and (tin foil hats on) even the government can tell who, when, and where you’ve been accessing from. And trust me… that Windows Firewall you have isn’t helping very much. With a VPN, you’re connecting to a virtual server who then routes your data through an encryption pattern, making it impossible to say much about you; it’s the VPN that gets “tracked,” but since other people are also using that VPN, no one actually knows who is requesting the information. Many VPNs also have the added perk of allowing you to choose where to say you’re connecting from, which lets you access content that is sometimes restricted to select countries. I’m as guilty as anyone else on this, but it can be really difficult to keep making up good, unique passwords. Because of the sheer number of websites and apps we access today, each one asks for its own password—and each one has its own set of rules. What that usually leads to is the old, bad habit: reusing the same password, with slight variations as required by the password rules. This basically means that the majority of passwords are something like: Password, password, password1, Password1; all are very easy to guess, and once someone figures out one password, it won’t be hard for them to figure out your other passwords too. A VPN helps a lot with this, because if someone does “hack” your password, they don’t necessarily know who to associate it with. The best rule of thumb for passwords is to make them as long as you’re allowed: use phrases instead of actual words. A passphrase is far harder to guess, usually contains more characters (and is thus harder to brute force), and can be easier to remember than a single word. Try to use different phrases for different things you access, and if all else fails, keep a backup list of your passwords somewhere safe (a sticky note with all your passwords at your desk is probably not the most ideal location to store them!). A final note on passwords: sometimes you’ll need to create “security questions” in case you forget your password. Birthdays and the names of schools you’ve attended (or anything you have on your social media account, for that matter) are terrible choices for security questions. Always go for something less obvious, like your first car or anything else that people you don’t like or know aren’t likely to figure out. There are plenty of things you can do to make your use of technology safer. Whether it’s using helpful software, being mindful of your passwords, or having some discretion about where you navigate on the net, there is a single unifying point to be made about all of this. The one in charge if your security is not some company or foreign entity: it’s you. No matter how many safeguards are added to technology, your own habits and behaviors will ultimately determine how secure your machines and data are. Sometimes it will mean you’ll need to actually read a few things, and other times it may mean containing your curiosity for the sake of your safety (ooh, I wonder where this link goes?). I have goals …. hand me the ball…. These goals are the ones that we all want to achieve in our lives. Every year, many of us spend time making New Years Resolutions and in fact, this is just another name for goal setting. Whether it be to eat healthier, exercise more, learn something new or changing jobs, each of these requires goal setting and ensuring that we can achieve our goals. Quite often when we set a goal, if we don’t make it achievable and manageable, we end up losing sight of it before too long and the goal turns into a ‘one day’ moment. “One Day I will get that promotion I would love so much to achieve”. Unfortunately “One Day” doesn’t have a timeline attached to it and it might not arrive easily or quickly without a clear way of managing your goals. Since we’re now in March, we’re already through one quarter of 2015. How many of you have given up on goals that you set at the beginning of the year? Who of you are still on track? We’d love for you to tell us about where you are with your goals. We still have nine months left of the year so we’re spending this month focussing on keeping us Girl Geeks on our goal achievement track. When goal setting, it is wise to understand exactly what your goal is and why you want it. To have clarity around your goals will help you to identify clear timelines and put well defined plans in place to achieve your goals. It is recommended that you write your goals down. There are many ways that you can write your goals down but ensure that it is somewhere that you will look at regularly. Keeping a diary – this Goal Diary is perfect for recording your goals and looks lovely. It’s a great size to keep in your bag so you can regularly review your goals. Building a Vision Board – This Girl Geek has big goals and to keep me motivated and inspired in the brightest and darkest days, I have built a vision board that I look at regularly. It allows me to see what the end goal will be and keeps me motivated and reminded of the things I am seeking to achieve. I keep my vision board on Pinterest since I am a very visual person and this allows me to view it whenever I want via the Pinterest app on my phone. I am sharing it with you since making your goals public means you are more accountable for them. My vision board is somewhat materialistic. Don’t judge me on that. Other people make their vision boards the traditional way with cardboard and cutouts of images that they want to show for reaching their goals. Often the board is kept somewhere that it can be seen every day such as in the bedroom, the bathroom or by the kettle so that you can start the day reaffirming your goals and seeing what you can achieve. Be Accountable – Put your goals out there and share them with your friends, family, colleagues or even strangers via social media. I’ve heard quite often that what you put out into the universe is what you get back and part of me wants to think that there might be a greater force that can make this happen but when I come back down to earth, the simple fact is if you tell others what you are doing or planning to achieve, most of the time they will provide you with support and guidance but also it means you are accountable so it is a motivational aid to keep you driving towards achieving your goals. When you are identifying your goals, it’s very important to understand why you want to achieve them. Take time to gain clarity about not only what it is that you want to achieve (that’s often the easy part) but most importantly why. In many cases, achieving goals can take time and effort so if you’re putting yourself through something new, you need to understand why you’re doing it. This will bring you closer to achieving your goals. In our next installment of Goal setting and achieving, we will be discussing more about clarifying and managing our goals. We will provide you with some methods to clarify and understand your goals and provide some recommendations of people and material that can help you. Until then, we’d love for you to leave a comment here, sharing with us what your goals are and also any tips and methods you use to achieve your goals. We’re discussing goals over on our Facebook page and would love for you to join the conversation there also. Reading Girl Geek Dinners are looking for inspiration and words of wisdom about your life as a Girl Geek. We’re seeking guest bloggers to write for us so that we can share your blog with the Girl Geek Dinners community, not only in Reading but around the world. This is an opportunity to share your thoughts and words with a global community of Girl Geeks and a chance to share with others your experiences and knowledge. We’re happy to help with ideas for topics and inspiration if writers block gets a grip on you. In return, we will promote your article via our social media channels to thousands of readers. Please email us with your blog post at readingggd@googlemail.com and please include a photo of yourself and a short summary about you. We will contact you to confirm that we have your article and to advise publishing date. Reading Girl Geek Dinners will be holding our next event on 18th July, 2012 on Copa Bar, Reading. The event will commence at 7:00pm and and our guest speaker will be discussing Jacqui Hogan of MentorSET who will be discussing Mentoring. Reading Girl Geek Dinners welcomes Apple Print Limited as our sponsor for this event. Beavering away in their central Newbury location, they love nothing more than to turn your ideas and artwork into a creative reality. As well as offering a full printing service including lithographic, digital and large format, they also have a fantastic creative studio on-site. Whether you have an exciting graphic design or art-working project you’d like help with or you want to launch a brand spanking new website, then our studio is THE creative hub to contact to discuss your requirements. You can contact Apple Print Limited on 01635 521 654 or info@appleprint.co.uk for all of your printing needs. Thanks to Apple Print Limited, our event will be free. MentorSET is a successful mentoring scheme to help women working in STEM (Science, Technology, Engineering and Mathematics). We provide independent mentors who understand the challenges faced and who can provide support and advice. MentorSET aims to increase the number of women who can maintain their STEM careers, and realise their full potential. The speaker is Jacqui Hogan, who has managed the MentorSET scheme since March last year. Originally studying Architecture and working as a building surveyor she has, for the last 30 or so years, worked in a variety of technical and managerial roles in the IT industry. Jacqui has experience with a wide variety of sectors including local government, oil rig design, electronics, civil engineering, pharmaceuticals, utilities, telecoms and entrepreneurs. She is an experienced mentor and speaker, and has worked as an independent consultant for the past 9 years. She is qualified in both IT (MBCS, CITP) and Business Management (MBA, FCMI), and is a self-confessed Girl Geek. Within the Girl Geek movement, we are also working to promote mentoring and are now undertaking the steps to offer mentoring to our community. Please visit us at http://mentor.girlgeekdinners.com/ to find out more. Subject for the evening: Mentoring with our special guest speaker Jacqui Hogan of MentorSET. Format: Reception, Mentoring Discussion, Buffet. Attendees: As ever, Boy Geeks are welcome to attend if invited by a Girl Geek. Registration for this event will close on11th July. If you’d like to attend on 18th July, please sign up via the Register button, and we’ll see you at the event! I’m a Girl Geek because ………. As I while away my afternoon putting final touches on our Reading Girl Geek Dinners event for next Wednesday 30th May, I started thinking about the theme of the event. I’m a Girl Geek because …. This made me think a little more about why I am a Girl Geek and now I will set the ball rolling for you. Being the mother of a young child, I often hear myself saying to him “When I was a child, I didn’t have half the luxuries you have now …..”. Have you heard that before? I’m sure you have from your parents, grand parents, older friends, etc. Never a truer word has been said. Technology has come along in leaps and bounds since my childhood in the 70’s (not trying to give my age away or anything). When I was a child, the idea of being able to run my life from a portable device was something incredibly futuristic and beyond my young imagination. Now I have that device and many more. I have to admit that it’s a scary thought of what life would now be like without my smartphone. Things such as satellite navigation, Sky+, X10 to remotely function lights and appliances in your house, smart phones, even a hoover that looks like a flying saucer and scoots around my house without me having to life a finger. How amazing is that! That’s also only to name a few technological items of genius. The other thing I hear myself telling my child is how brilliant it is to live in the world today. It’ such an exciting time to be living with all of the current technology and the rapid rate of advancement in technology. I am delighted and somewhat amazed to also be working in the middle of it. Having started a career in Software testing, I now implement Service Management tools into global organisations, without even leaving the office. I can work with Australians, Americans, Europeans, simply from the comfort of my chair. I can see and hear them on Skype, I can email them and share my thoughts and I can even create diagrams and simply click a button and my customer can see it. How awesome is the world today. This is how I spend much of my time communicating for Reading Girl Geek Dinners. Twitter, Facebook, email …. all forms of technology across the World Wide Web which allows me to reach people in the far ends of the world. I’m a Girl Geek because I live, breathe, work and play technology. It’s fun, it’s exciting, it stimulates me and gives me an adrenalin rush to be around it and work or play with it. Best of all, technology still has a long way to go before we are done creating. I love the fact that I can be a part of that too and that I can share it with people like you.